…..news letter #520 – winter much?…..
well, it’s definitely january. -30 and slim pickin’s for new releases. but as usual, despite the lack of releases, that doesn’t mean a lack of quality. there’s some top notch stuff in this week, and it’s warming up again too so get out of your cave and get down here. oh ya, if you’ve missed it in past, next week i’ll be djing again down the street at the common next thursday night. come on down, after 9, i’ll be spinning some cool fuzzy funky library and soundtrack tunes along side some folks from other local shops. come show your love for listen! – first ever reissue, deluxe & legit, of this quite rare 1976 southern california private press gem. it’s a strange, fantastical, and totally distinct album that will have you sucked in almost instantly. this one is extremely hard to pin down – think something like a loner powerpop rock opus, heavy on the psychedelic production values, studio dreamer vibes, and timeless hooks. the songs are unusual but infectious, the production is breezy & expansive but not polished, and the vocals are constantly morphing yet always effective. 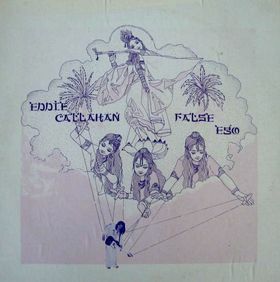 in fact, the hazy chameleon-like personality here might be one of the best things going for the album, as not only does eddie seem to be channeling a handful of different vocalists, but the whole mood & sound shifts around unexpectedly as well. even the potential low points somehow work, and there’s surprises around every turn. the often questioning, self-reflective lyrics add yet another layer of mystique to the trip. musically the most mellow points hover around gorgeous, airy, rural-tinged, floating psychedelia with beautifully layered acoustic & electric guitars, tinkling keys, and lush mellotron. when things pick up they’re truly rocking, with tight punchy rhythms and eddie firing off big chunky guitar riffs like he’s playing to the packed stadium behind his third eye. all the studio tricks at hand are put to full use with sweet leslie guitar effects, special tones, backwards solos, elaborate multi-tracked sound fields, and some of the most wonderfully bent synthesizer soloing ever laid to tape. the perfectly strange & beautiful cover art seals the deal… mastered from the artist’s well preserved & great sounding master tapes. pressed on highest quality 180gm virgin vinyl, and packaging in an exact reproduction heavy old-style cover, with exact repro labels. also includes a double-sided heavy stock insert with a bunch of great vintage photos of eddie rockin’ the marshall stacks at the ‘false ego’ sessions, plus new notes from eddie, his wife donna-davi, and album producer robert berry. one time pressing of 700 copies. 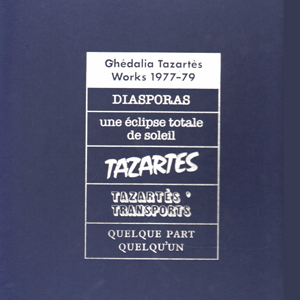 – in tomorrow… limited edition vinyl releases of these two ambient slabs. the first, one of the all-time classic ambient albums, from 1997. the second, a vinyl issue of their 2011 album. – in tomorrow… on the heels of 2011s superb reissue of chapman’s 1970 classic album fully qualified survivor comes his 1969 debut rainmaker (originally released on the seminal harvest label). like the fqs album, rainmaker is a psychedelic-guitar-folk delight. – ooooops… this one got missed in holiday shuffle. the first half of this dark ambient, dub, ethno, library, horror duo’s latest offering. includes 2 12″s and room for 2 more soon to be released…. of course, limited. – in tomorrow… released at about the same time as demon and eleven children, the album the beautiful carmen maki recorded with the band blues creation, this 1971 heavy rock guitar monster reminds us that …eleven children isn’t the only heavy album from this ensemble. maki was probably one of the strongest voices of japanese rock and is featured here doing her finest grace slick impression. lots of brutal, non-stop wailing guitar but some mellow, bluesy psychedelic rock numbers, too. highly recommended. – wow… nothing but excuses from the supplier, but better late than never right? lots of love for this one on year end lists. ariel pink does 80s synth pop kinda vibes. – debut vinyl release for majutsu no niwa, band led by guitarist and songwriter rinji fukuoka, already founding member of tokyo’s legends overhang party. making their own the formula that if a band rocks, then it rocks live, majutsu no niwa (litterally ‘magical garden’) four tracks of pure sonic catharsis, epic songs, cosmic rock, psychic delirium, including a classic tokyo-style ballad, for one of the loudest bands in the planet. already a cult! 250 copies. – in tomorrow… reissue of this amazing 1976 italian prog album with heavy canterbury influences. if soft machine were italian, they would have made this record. pricy, but brilliant. – in tomorrow… techno isn’t a genre that has birthed many classic albums, and the dub techno subgenre even less so, but one indisputable classic is porter ricks‘ debut biokinetics. originally issued on the legendary basic channel sub-label chain reaction in 1996, it was the first of the label’s album releases, and still stands as its crowning achievement. the duo was made up of dark ambient pioneer thomas köner and sound engineer andy mellwig. simply put, biokinetics is one of the most important records in the genre. – fantastic meeting between tokyo’s heroes up-tight and cosmic traveller anla courtis. recorded february 18th, 2011 at lucrezia in hamamatsu, tokyo, here you have the rare chance to listen to these folks jamming completely free and at monstrous volume, perfectly alternating great explosions of electricity and quiet moments of dream-like psychedelia, for the real deal celestial burn-out! limited to 200 numbered copies, with handmade covers.